The 23rd annual Construct Canada, PM Expo, the DesignTrends Pavilion, and Concrete Canada will be held in conjunction with the 2011 Home Builder/Renovator Expo in Toronto, November 30 – December 2. Discover low cost solutions for all forms of building design, construction, and renovation challenges by attending education seminars and visiting over 1050 exhibits on the Show Floor. 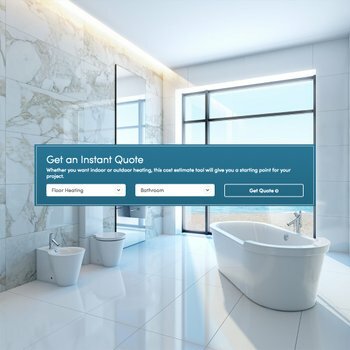 Receive up-to-date information from 30 different products, technologies, and service categories, and visit suppliers and manufacturers of building materials, products, and services – all in one place. We, WarmlyYours Radiant, will be exhibiting at this fantastic show and will feature our NEW LAVA® radiant heating panels at Booth 306. The LAVA® was a big hit at the Kitchen and Bath Industry show (KBIS) earlier this year, winning the 2011 Best of Show award for innovative new products. LAVA® infrared radiant heating panels not only provide heat, but also enrich your interior design. The LAVA® Crystal is the ultimate designers dream containing genuine Swarovski Elements embedded in the glass panel. The Mirror is both a heater and mirror in one panel. Add an accessory towel bar and you now have a towel warmer. This stunning work of art can be easily wall-mounted in any room while providing a quality of heat that is healthy and eco-friendly. Because infrared heat is absorbed into the muscle tissue, it is a healthy way to heat your home. It can also improve joint and muscle flexibility, while promoting proper body circulation. In addition to these great benefits for your body, the LAVA® heating panels make a safe and comfortable environment for asthma and allergy sufferers, as the panel does not circulate air – there is no dust or allergens floating around. LAVA® heating panels can even reduce your heating expenses. By utilizing infrared heating in your living areas you will be able to lower your room temperature by 2°F, saving up to 12% of your regular heating expenses. 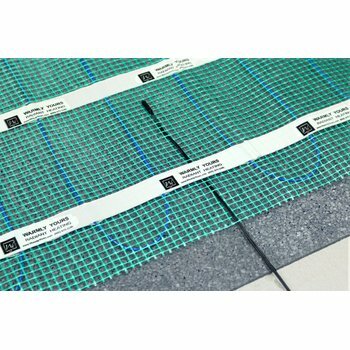 WarmlyYours also offers radiant heating for underneath virtually any flooring surface, tile, stone, hardwood, carpet, laminate, and floating wood. 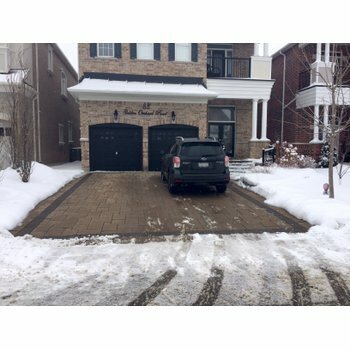 We provide snow melting for driveways, walkways, entryways, and patios and slab heating for cold concrete in basements, garages, additions, and outdoor kitchens. Our industry leading support services include 24-hour custom system design, unbeatable warranties, same-day shipping, and 24/7 installation support. So, stop by and see us. We promise to show off for you! The HomeBuilder & Renovator Expo, Canada’s largest residential trade show and conference for builders, renovators, architects, contractors, and specifiers, delivers all the resources, information, and opportunities you need to successfully build your business.